Hello everyone! 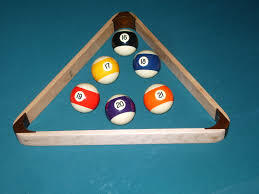 In this post, I’ll go over a post I saw that covers the rules of playing pocket billiards. Before I do, let me ask you all a question, do you know what those rules of playing pocket billards are? Well, I found a post that covers these rules with explanations. One rule covers what happens if there are “fouls”. Another rule covers what happens when a ball falls off the table should it ever happen. There are a total of 42 rules in all, and you can check that out by clicking the link below. I hope that you have gained some information and feel free to comment below. Thanks so much for stopping by. Cheers!